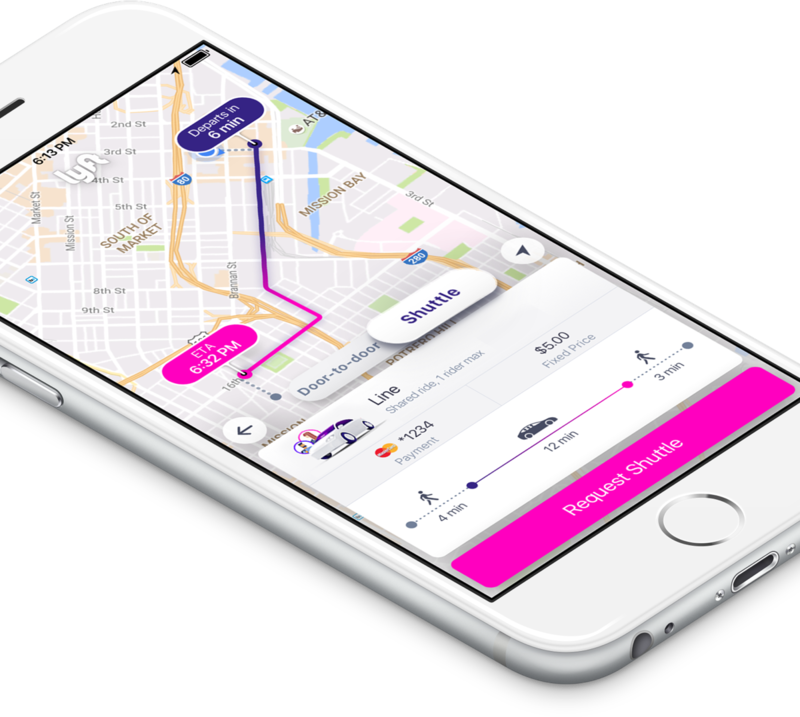 Recently, Lyft started testing a new product called Shuttle in two cities: Chicago and San Francisco. I’ve seen quite a few thoughtful questions — and a few good jokes — circulating about Shuttle. So as one of Lyft’s longtime resident transit nerds, I want to take the time to share why we launched Shuttle, and what it means for cities and the future of public transportation. You can think of Shuttle as a new twist on Lyft Line, the popular dynamic carpooling option we launched in 2014, which is available in 16 cities and accounts for around 40% of all rides in those markets. Just like Line, Shuttle matches you up with other passengers going the same direction to create a high-occupancy ride for a lower price than riding alone (more people in fewer cars = win). The twist is that unlike Line, Shuttle pick-up and drop-off locations are the same every day, and so are the prices (with prices between $3–4 per ride, Shuttle is Lyft’s most affordable service, offering commuters a reliable option for far less than the average cost of car ownership, which is about $9,000 per year). And instead of coming straight to your door, Shuttle picks you up at a safe, carefully selected spot nearby. As many on social media pointed out, these new features are also found in traditional public transit buses. Fair enough. But here’s what’s different and important. Shuttle rides are provided by the same, awesome Lyft drivers you know and love, driving their own cars — not big vans or buses. As a driver in a Shuttle market, your next ride request could be an original Lyft, Line or Shuttle request; they’re all part of the mix. That means no one needs to go buy any new vehicles to turn on a Shuttle route, and they are easy to change based on feedback. And unlike a bus route, a Shuttle route is on-demand — it doesn’t happen unless a passenger requests it. That means Shuttle is very efficient, never making drivers circle and waste miles when people aren’t riding it. Instead, drivers just move on to give other Lyft requests after they finish a route, or log out if requests slow down. This form of flex transit capacity augments the fixed capacity of traditional transit routes at peak times when those services are maxed out with riders, brings “right-sized” service into areas which can’t support traditional transit, and melts away when it isn’t needed. 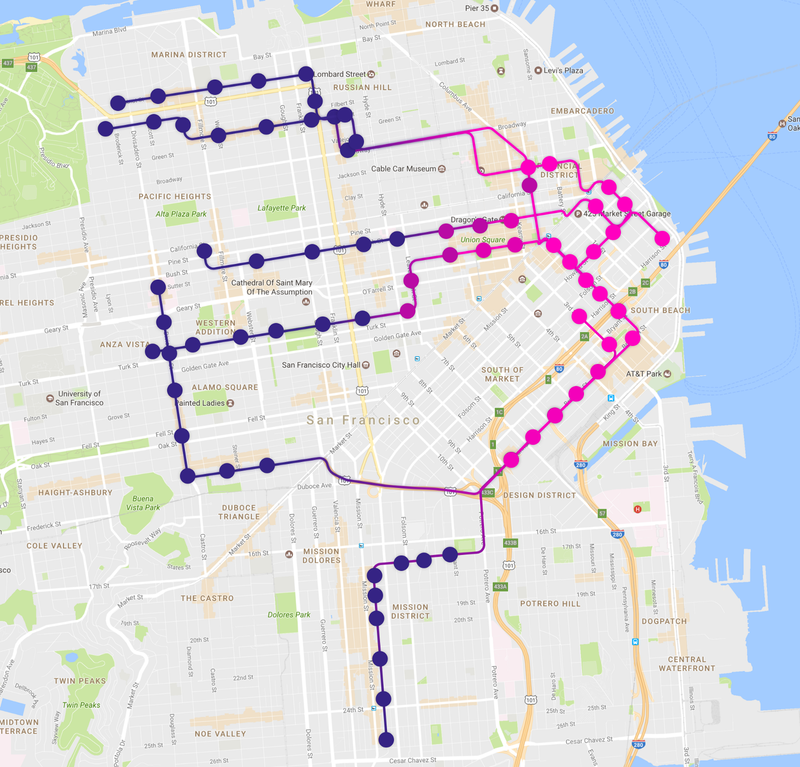 Shuttle’s initial routes were chosen by our data scientists, who looked at the density of Lyft Line requests during commute hours and picked a small set of initial corridors where the data showed we would be able to match up the most passengers, enabling the highest occupancies and thus the lower prices passengers want. Not surprisingly, many of these corridors align with those most heavily used by other transportation modes, including personal cars and transit. With Shuttle, we hope to reduce the need for commuters to drive their own cars on those busy corridors, giving them a more efficient option and freeing up road capacity for high-efficiency shared and transit vehicles. You might have noticed that Shuttle sounds like some hybrid mashup of ridesharing and transit. You’re not wrong. It fits into a new category experts call “microtransit,” and it’s designed to do things buses can’t do and reach people buses don’t reach, helping attract a broad spectrum of riders who haven’t used transit before. The Lyft team is made up of strong public transit advocates (some might say geeks), a tradition that started with our co-founder and CEO, Logan Green. We come to this issue with a deep empathy for and exposure to the challenges facing traditional public transit operations. Over a decade ago, Logan served on a public transit agency board in Santa Barbara, California. He lobbied hard to improve the frequency of bus service in the city’s low-density neighborhoods to benefit riders who depended on buses, only to find that the transit agency couldn’t afford it. There just weren’t enough riders to fill more buses on those routes. Never one to take no for an answer, Logan was inspired by the informal jitney networks he saw on a trip to Zimbabwe and became determined to find another way to expand mobility access. His vision was to turn every single-occupant vehicle on the road into an extension of the transit network, which would cut traffic and make it easier for everyone to get around at a low cost — especially people who couldn’t afford to own cars. Shuttle is the latest step in making that vision happen. In parallel, we’re also continuing our strong policy advocacy for expanded investment in traditional public transit, such as Measure M in Los Angeles, Proposition 1 in Seattle, and Measure RR in the Bay Area, all of which were passed by voters last fall. Our country must break down the traditional binary between cars and transit and embrace all of these strategies if we want to make gains in reducing reliance on car ownership. New, creative and efficient ways of delivering transit are sorely needed. For over a century, public transit agencies have had two basic tools for getting people around cities: buses and trains. Like any tool, buses and trains work really well for some tasks, and not very well for others. For moving large volumes of people along heavily-traveled corridors during commute times — buses and trains can’t be beat. They move the most people at the lowest cost while taking up the least space on the road — IF they are able to attract enough riders. But for routes where there are smaller numbers of riders, traditional buses and trains struggle to provide frequent, cost-efficient service, and ridership suffers accordingly, leaving riders in those areas with few efficient options. We think Shuttle can help bridge these gaps, and it’s one reason why we launched an initial test route in a transit-underserved area on Chicago’s South Side that connects to Downtown from Brighton Park. The vast majority of Americans live in places outside of mass transit’s “sweet spot” — which is why only about ⅓ of jobs in major U.S. metropolitan areas are reachable by the average commuter within 90 minutes one-way by public transit. And many potential transit riders live too far away from train stations to be able to use them, a classic challenge known by transit agencies as the first-and-last-mile problem. Here again, we think Shuttle can help. Since launching Shuttle in San Francisco, we’ve found that our single most successful route is a first-and-last-mile connector to the 4th and King Caltrain station. Public transit services also experience challenges on the flip side of the ridership equation. On the busiest transit routes, demand often exceeds supply at peak times, resulting in transit facilities which are severely over-capacity, unable to serve all the riders who want to use them. And when unusual events like severe weather, traffic crashes, or service outages occur it is hard for transit systems to quickly adapt to add more service in time to meet the need. This problem has been exacerbated by chronic underinvestment in funding for transit infrastructure. Flexible microtransit services like Lyft Shuttle and Lyft Line bring additional capacity into the system when and where it’s needed most, closing the last mile gap, delivering right-sized mobility service in underserved communities, and supplementing crowded public facilities. 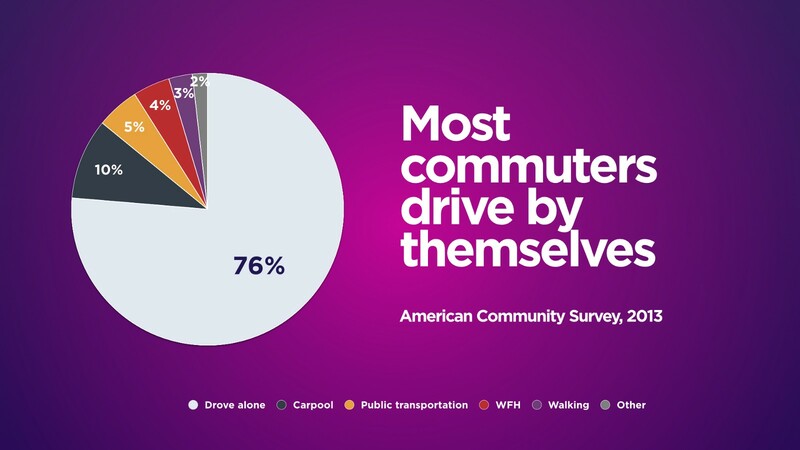 The bottom line is that in a country where fewer than 5% of commuters currently use transit, where 76% of Americans drive alone to work, and where traffic congestion continues to drag down economic productivity and quality of life, our cities need a new spectrum of efficient, affordable transportation options to make car ownership a thing of the past (see more from our co-founder John Zimmer on that here). Shuttle is a new tool to help make that happen. We welcome your feedback along the way as we continue working to improve people’s lives with the world’s best transportation. Venture Partner at @Fontinalis_FP. Former @LimeBike @Lyft OG policy wonk. Ice cream fanatic. Cities built for people, not cars.